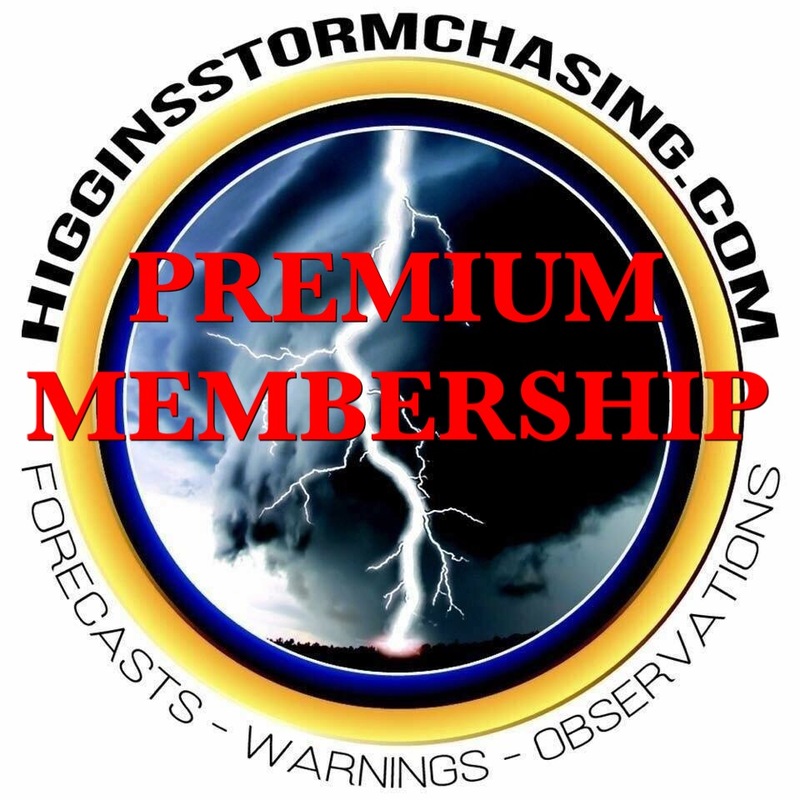 On the 26th February, 2019 an article was published by the Courier Mail and other media about Higgins Storm Chasing and comments we have recently made. We wish to make clear that we were never forced to offer an apology, despite headlines stating this as fact. On Sunday 24th February, I proactively contacted a person who I made abusive and threatening remarks to and have apologised for my actions. My apology was welcomed with return apologies for their original provoking post. I wish to offer an unreserved apology to anyone who has been affected or offended by my or other administrator’s comments or private messages. The language we have used is unacceptable and should never be used either publicly or privately. Regardless of these stresses, this is no excuse to treat others with disrespect. I and my team are implementing better procedures to cope with the increased pressures of social media and the demands often placed on us. I am very appreciative of the support we do receive, and I wish to thank everyone who supports our work and passion for weather. We wish to welcome open and intelligent debate on our posts. Those who wish to share different views are welcome to do so, however we ask that they are done with respect to us and others. I and my team are looking forward to providing a better service to our customers and greater public. Issued 6:30PM Thursday September 13th 2018. 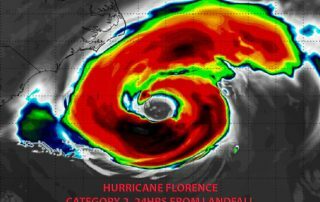 Hurricane Florence has thankfully weakened significantly over the past 6-12 hours, but the life threatening risk is still massive in regards to catastrophic flooding and storm surge. Above image: Simulated Satellite via HWRF / Tropicaltidbits. Over the past 12 hours or so, Florence has interacted with some unfavourable conditions that have allowed the system to thankfully weaken. It has significantly weakened from a Category 4, almost Category 5 beast, into a now Category 2 system. In saying that, the system is still likely to produce 110mph (175km/h) winds on landfall, with higher gusts likely. The issue was never about the wind though, thats just a side note with a system like this. 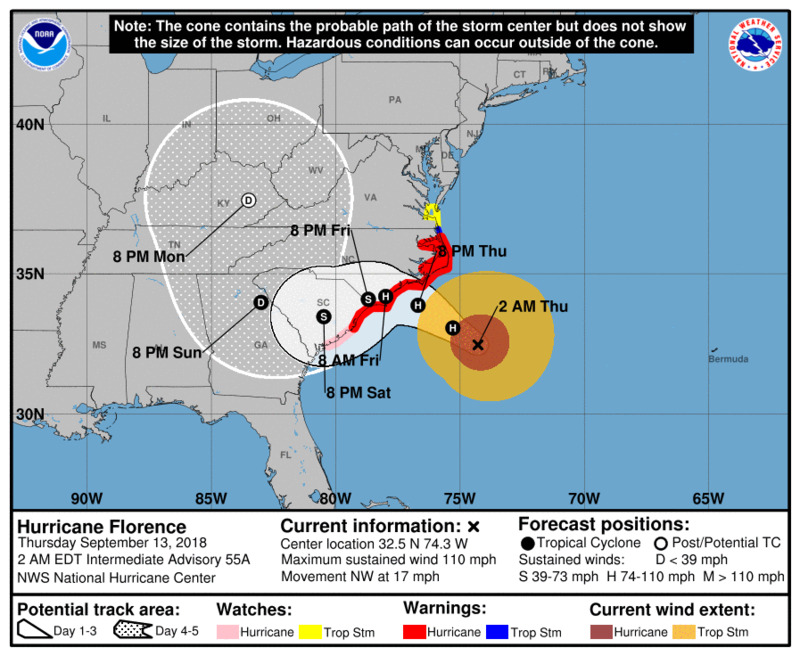 National Hurricane Center Official Forecast Track for Florence. The big threat, has always been, and is still, the CATASTROPHIC FLOODING and EXTREMELY DANGEROUS STORM SURGE which are highly likely to cause a SIGNIFICANT risk to human and animal life. Residents are continuing to be ordered and pleaded to evacuate off the Coastline of both North Carolina and South Carolina. Why the system is still posing this horrific threat is because a ridge (as expected) has built to the North and West. This has helped cause the system to weaken, but its also expected to make the system slow down and even stall ON LANDFALL, and then cause Florence to hug the Coast as it tracks slowly South ALONG the Coast. 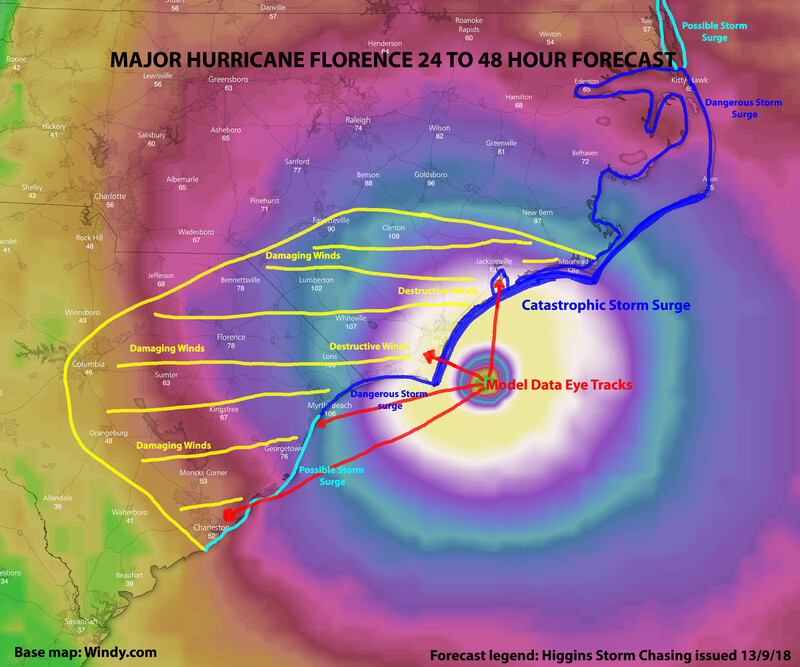 This will greatly increase the width of the storm surge threat and cause TORRENTIAL rainfall over North Carolina and VERY HEAVY FLOODING rainfall over South Carolina and through adjacent Inland regions of both States. 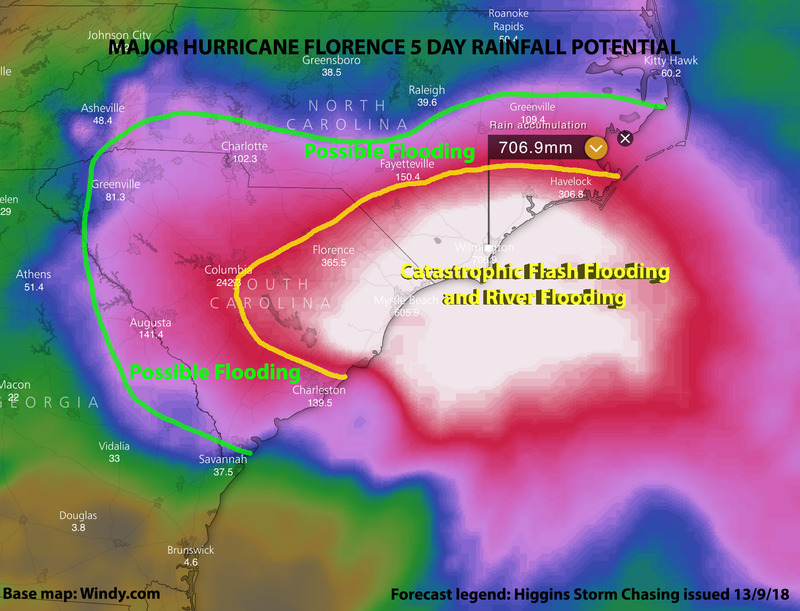 Falls of more than 700mm are likely in isolated areas over North Carolina with widespread falls of 250-500mm from North of Charleston, South Carolina to Morehead City, North Carolina including Myrtle Beach and Wilmington. This rainfall is likely to combine with a 6-13/15ft storm surge along the Coastline which is likely to cause a significant and life threatening threat. 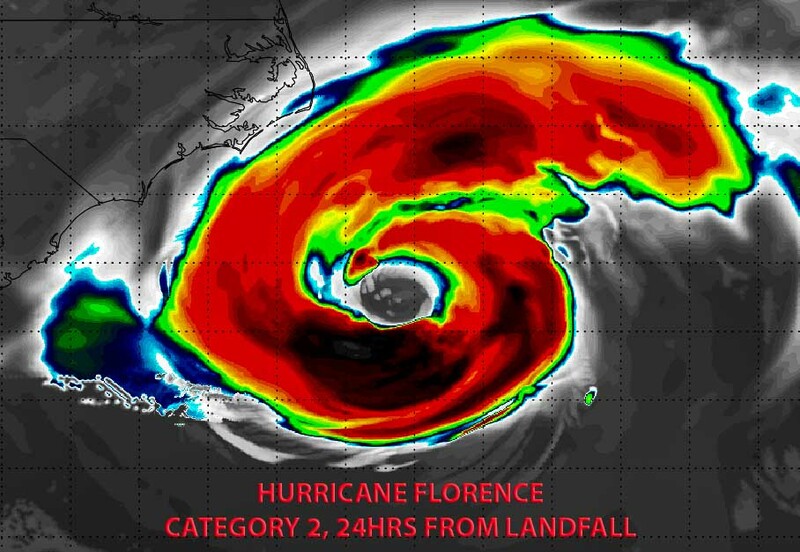 The combination of these 2 events are expected to be unprecedented for the region and lead to entire buildings potentially being submgered, the geographic landscape of the North Carolina Outer Banks being changed forever, catastrophic flooding which may isolate areas for more than a week along with cut roads and highways, downed powerlines, downed trees and emergency assistance becoming extremely limited in the early aftermath. We continue to urge people who haven’t left, to leave. 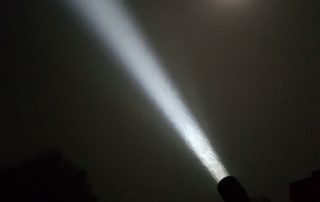 This kind of event hasn’t been experienced before. Yes Hazel produced a bigger storm surge, yes Hugo was a stronger system, yes Floyd was horrific… but none of these systems produced this kind of rainfall and this kind of storm surge together, simultaneously. 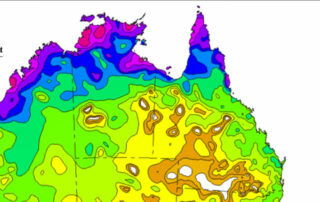 When looking at Queensland’s half yearly rainfall, its so easy to explain. Everything just makes sense and fits into place… but at the same time, its amazing a slight change can alter reality so drastically. 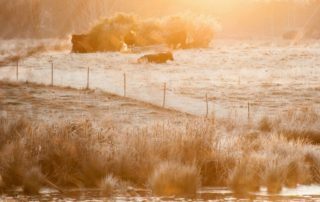 During this detailed write up, the goal is to not only explain why some areas have the rainfall anomalies that they do, but also explain how this has not only sped up or worsened the ongoing drought but also created a new drought for other areas. Starting in the North… The majority of the Peninsula is below average and this can be solely attributed to a lack of monsoonal activity during the peak of the Cyclone season. 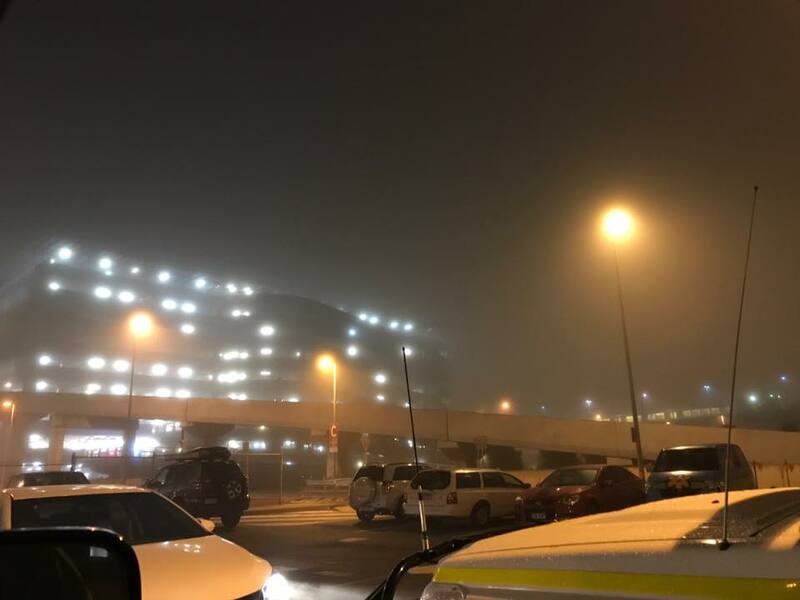 The majority of monsoon troughs stayed North of the Peninsula and over the Northern Gulf / Coral Sea, this ultimately reduced monsoon rain but also thunderstorm activity. 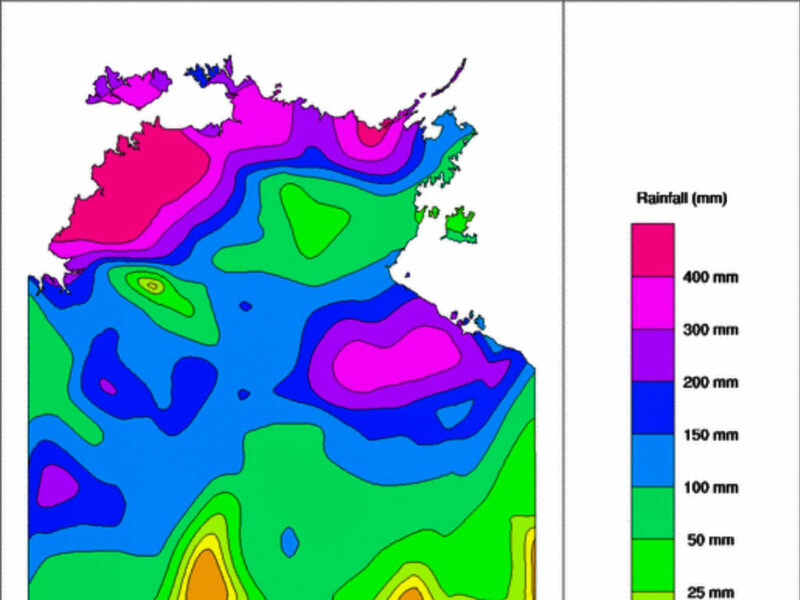 Ironically Mornington Island was well above average and this is courtesy of Cyclone Nora which produced very minimal rainfall over the Western Peninsula, but camped over the Southern Gulf leading to excessive rainfall across numerous days through the Gulf Islands. Moving into the only real above average area in Queensland, Far North QLD. From about Ingham to Cooktown, Inland to just beyond the Ranges… this area benefited from countless small scale lows and monsoonal flow generated from an extensive period during late February and March. South Johnstone, near Tully, is sitting at 4053mm for the first 6 months of 2018, a massive 1333mm above average. March alone generated more than 2300mm of rain for the region! 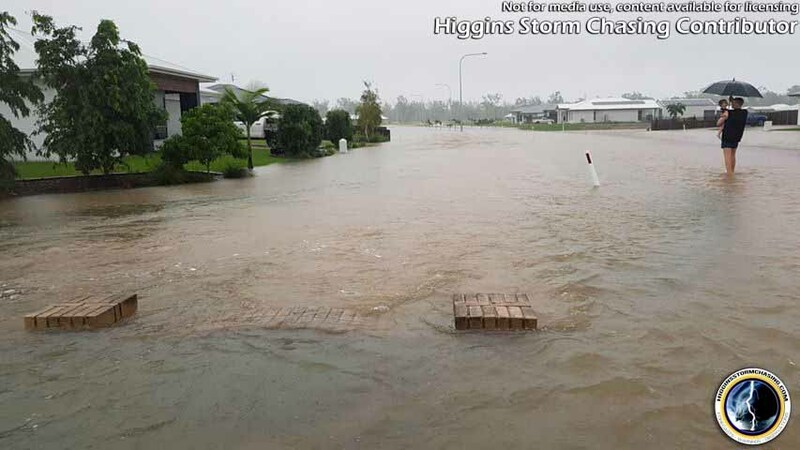 Nearby Cairns has had more than 2100mm for 2018 so far and Tully even more. As you move down the Coast though you can see what happens under the influence of a failed wet season. Mackay has the greatest deficiency in QLD, sitting over 600mm below average. Normally 1307mm will fall in the first 6 months of any given year, however 2018 has generated just 705mm. Some people may think thats still okay, its 700mm… however the area is a large part of the sugar cane industry, an industry that NEEDS average or above average rainfall, any less and not only is the current harvest weak, but future harvests suffer too. 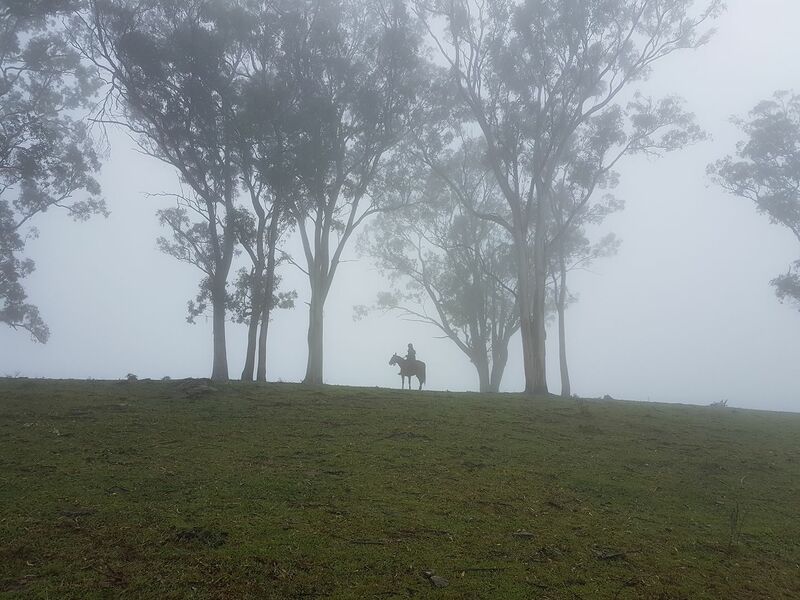 Given future rainfall forecasts and current deficiencies, Mackay could be on the brink of their own drought which would be detrimental to the sugar cane industry. 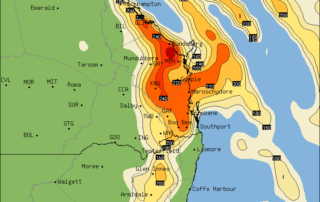 Further South over the Capricornia and Wide Bay… its bad also, with most areas 150-300mm below average. 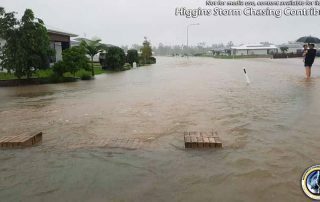 In South East QLD, its amazing what a good or bad storm season can do. 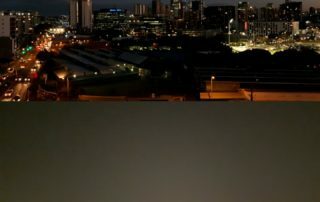 Most of the area is below average, however Greater Brisbane and Ipswich sit only fractionally below, while the Scenic Rim is mostly on average. This perfectly illustrates how storms acted all season, with most storm days featuring the Scenic Rim and Greater Brisbane, but rarely the Sunshine Coast or Gold Coast which sit well below average. Then there is Inland QLD, the area has copped failed wet seasons for years, a failed 2017-18 storm season and a mind blowing hot Summer. The only exceptions to this are the Far North West where parts of the region saw flooding rainfall in March (but thats the only rain all year) and the Central Highlands where some slightly more frequent storm activity helped keep things ticking along. 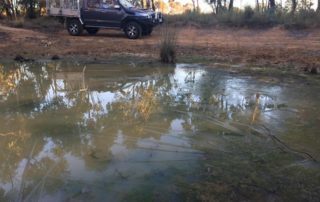 Southern Inland and South West QLD have seen nothing – storms were too isolated, the winter fronts havent reached QLD and if they have… they’ve been dry. The heatwaves made any rainfall rapidly dry up. 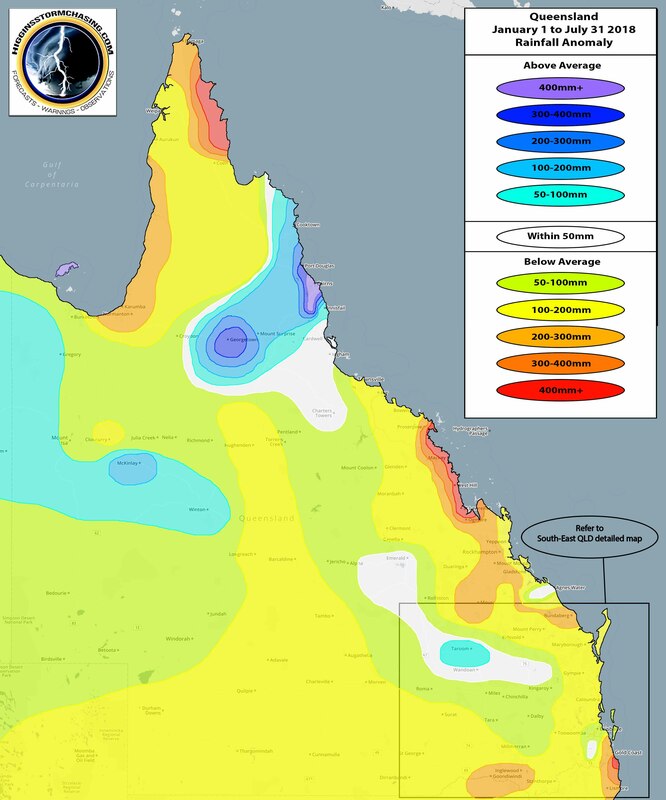 Its easy to see how more than 60% of QLD is under the effects of a bad drought, however the worrying thing is… with the current deficiencies in some non-drought regions and the futuristic rainfall outlooks, that percentage is no doubt bound to rise! South East QLD and North East NSW are seeing the potential for one of the more active hail days of the soon to be finished storm season as a cold pool moves overhead on Monday. Above image via BSCH showing severe weather threat indices for Monday. Its not too common that we see a forecast that would be more suited for Victoria or Southern NSW, over the South East QLD and North East NSW region, but that appears to be the case for Monday. 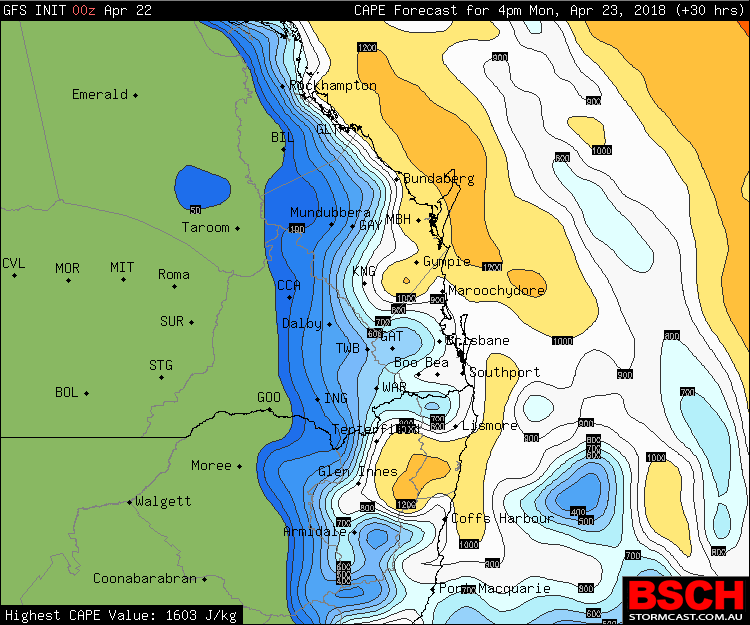 A very weak surface trough is forecast to become positioned along or near the Ranges through NENSW and SEQLD. This will continue to produce an onshore South East flow over both areas during the day (similarly to the last week or so) and this will combine with strong upper trough moving directly overhead. 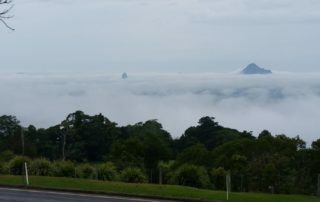 For Monday, we are seeing reasonable energy levels in the atmosphere – especially over the Wide Bay and Northern Rivers regions. This energy will allow thunderstorms to develop a little better with the updrafts reaching elevated heights. What that means is that storms are likely to tap into the much colder air much easier. Models are also indicating that storms are going to be very slow moving towards the North to North East. 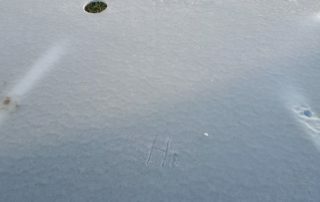 This setup means that any storms that do develop are likely to contain hail, and given the slow movement we could easily see noticeable hail accumulations directly under storms where it could hail for 15 or 20mins and cover the entire ground making it potentially look like snow. 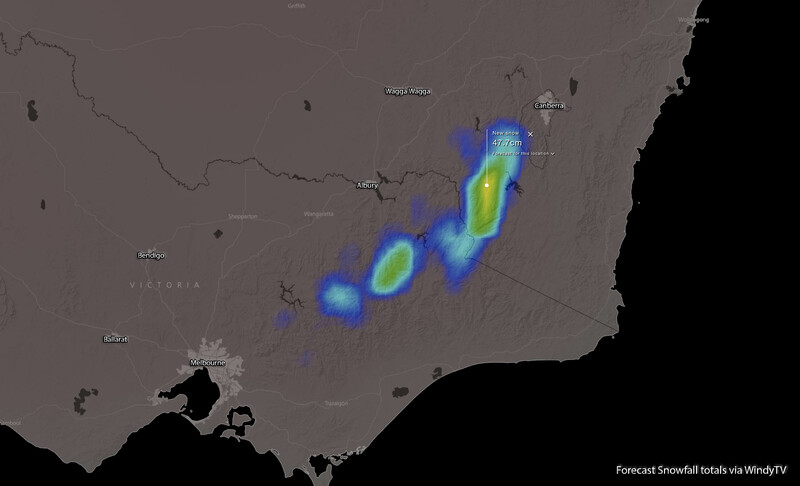 There is a chance of some severe cells too which are more likely to be over the Northern Rivers and Northern Tablelands areas, which could lead to localised areas of large hail. Heavy bursts of rain are another threat, but the noted threat for the day is definitely hail. Southern Inland parts of the South East Coast (i.e the Scenic Rim) and Northern Rivers are at the highest risk for thunderstorms given the reasonable or even very good moisture levels. 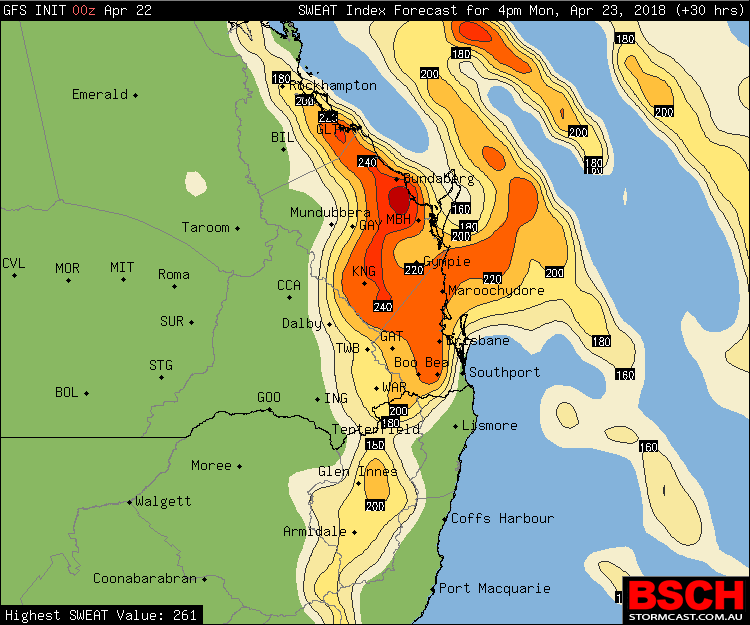 While there is a threat for the Wide Bay and Sunshine Coast / Brisbane Valley, a lack of moisture caused by a tongue of dry air intruding is expected to hinder potential. 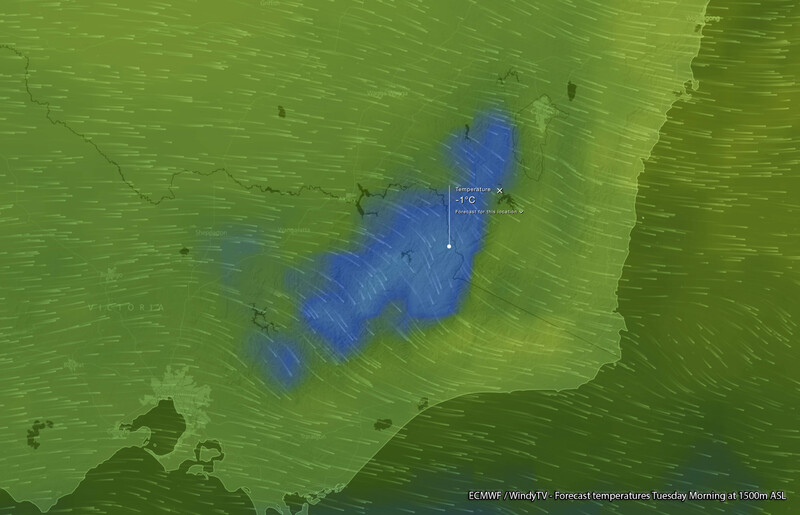 That doesn’t mean storms won’t occur, just they appear to be far more likely over NENSW than the Wide Bay. Energy (CAPE) levels via BSCH. 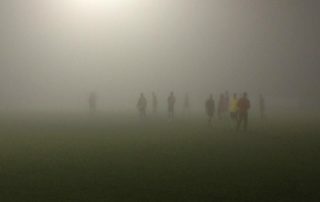 The higher the number, the more energy in the atmosphere. This is just a base indicator and localised higher or lower totals are possible. 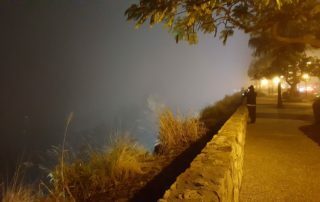 Generous Monsoon breaks Tropical Records! The monsoon came through in 2 different waves, one earlier in the month that lasted around a week or so, the second towards the end of the month which lasted about the last 2 weeks. There was no real break in between the two which helped keep the rainfall build up going, and for those who missed out on one day… the dome eventually broke. Cyclone Joyce was an added bonus for the NW NT and Northern WA region, while a series of tropical lows helped boost the Northern QLD totals, and a deep tropical low brought phenomenal rainfall to WA. Thats all well and good to have the above, but it always comes down to numbers with these kinds of accumulative setups, so what were the numbers really like (note, bolded locations and totals indicates a new January or All-Time Record)? 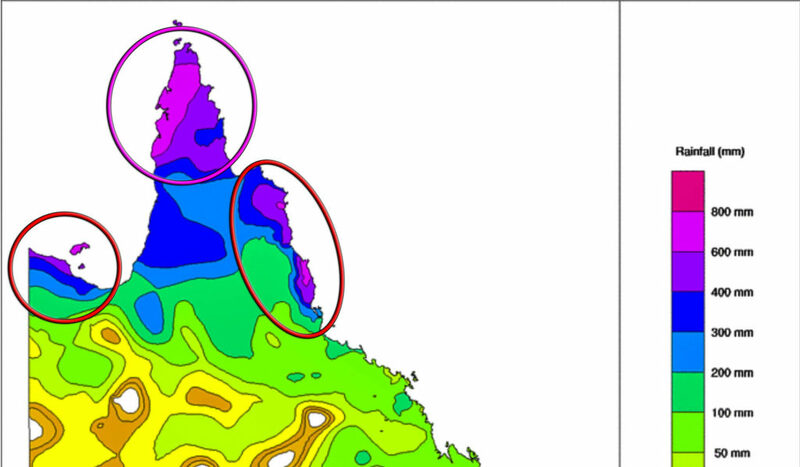 For these areas, Kangaroo Flats recorded an insane 4 straight days of 100mm+ (the only location to do so), as well as 6 days above 100mm for the month (again the only location). 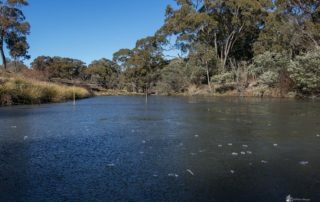 West Roebuck recorded the highest daily total in the country with 449mm and 673mm in just 5 days. The more populated areas were hit with falls of 800-1000mm which brought flash and some river/creek flooding. Within these areas, Scherger RAAF recorded 351.8mm in the last 2 days of the month, Centre Island scored 534mm in 4 days. 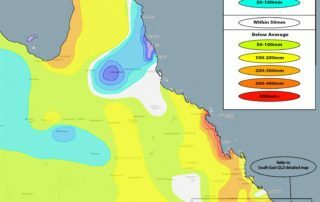 Broome cracked 673mm in 5 days which included their second highest daily total on record of 412mm and Darwin amassed 637mm in the last 10 days of the month. Bing Bong Port was also the only location to record 2 200mm days. 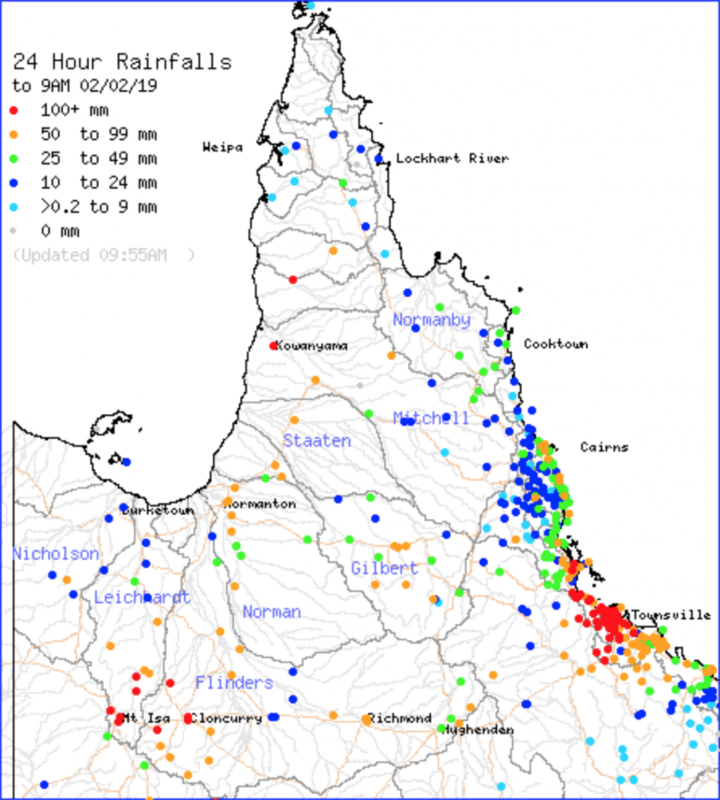 Further significant rainfall was also recorded across remaining parts of the NT and across the Tropics of QLD with scattered falls of 500mm (not every 500mm total is included here because there are a heap of them). 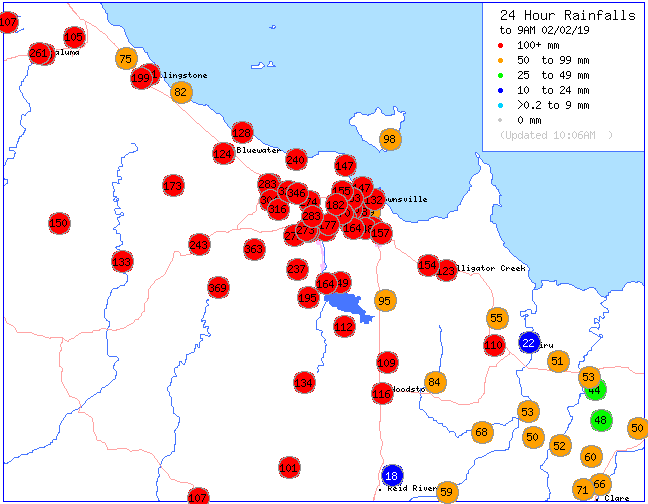 In these areas, Hazelmere amassed 320mm in 1 day, Cooktown 241mm in 1 day, Weipa 371mm in the last 2 days of the month. Derby scored 2 200mm+ 4 day blocks, which helps show that it wasn’t a one hit wonder. 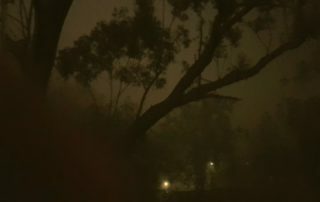 While Cairns got 3 days of more than 100mm helping it become the wettest January since 2010. 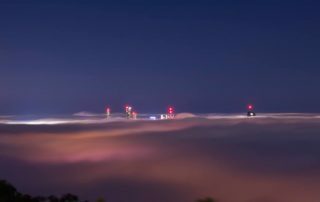 The phenomenon is simply known as very low clouds… it doesn’t sound exciting or interesting, but it only happens about once a year and those in Brisbane City got a first hand glance of it. 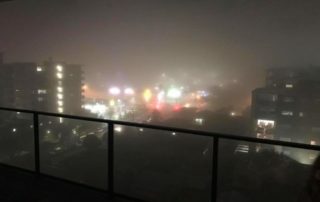 It appears as fog, and many people messaged into the page asking about the “fog that was lingering” but in reality it was an usual and specific combination that allowed for cloud bases to drop to as low as 100m in some places, and even lower in others as the evening progressed. The process is simple, but its very specific in the process of which it occurs. 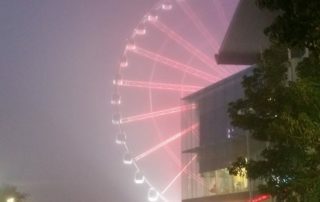 Morning rain and storms hit Brisbane and much of South-East QLD during Friday morning which allowed for low level moisture to linger for much of the day as it became trapped under thick cloud and wasn’t allowed to evaporate. 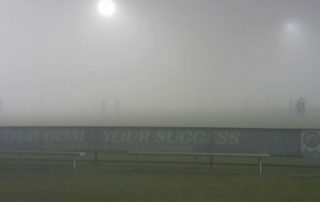 As the day progressed, the sun struggled to peak through and this allowed the second chain in the process to occur and that was cold temperatures. 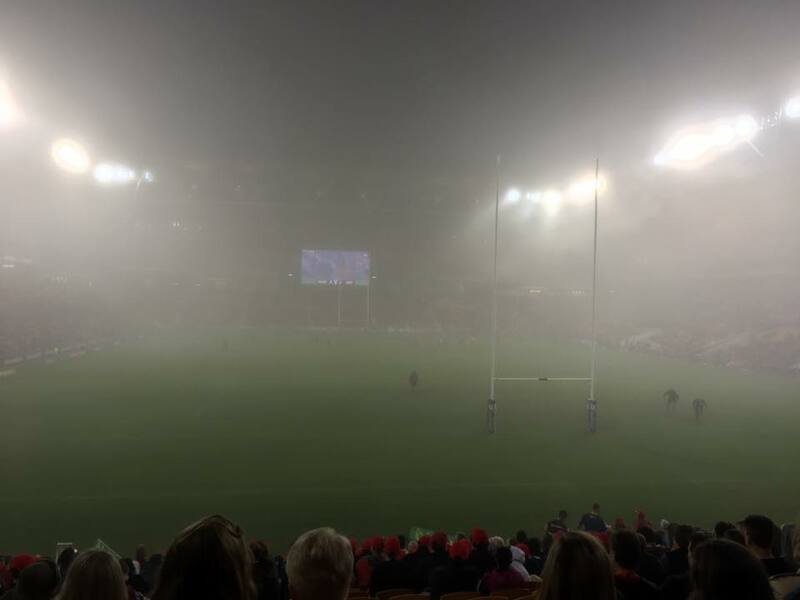 Brisbane experienced its coldest day in 3 years yesterday and it doesn’t matter if it wasn’t cold in reality… for the region, it was. 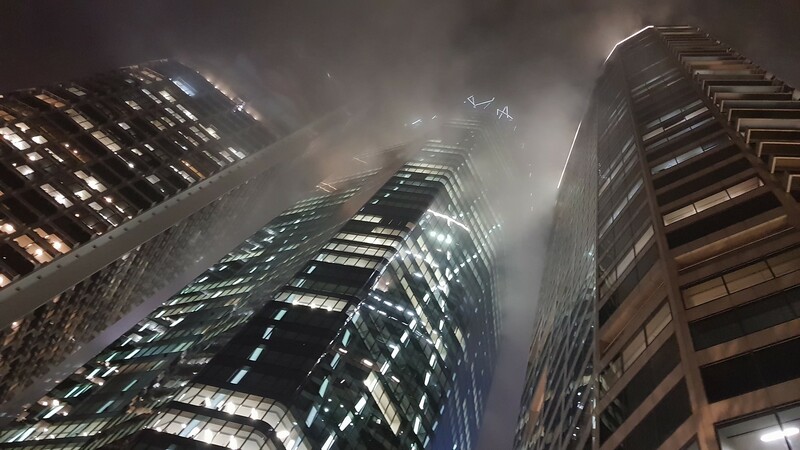 The increased moisture caused by showers in the atmosphere allowed for the third chain in the process to occur and thats where the increased moisture mixing with cooler temperatures and surface humidity allows clouds to descend and act as fog. 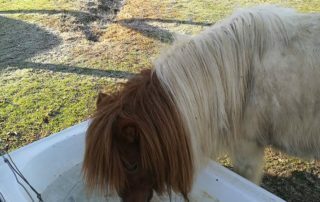 Click below to view the image carousel featuring several images sent in by followers from across the region. 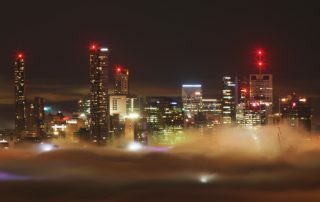 The cloud coverage was so thick that only the tops of Brisbane’s highest buildings were visible at Mount Coot-tha, the Airport experienced heavy delays and commuters required headlights in the middle of the day to drive on some of the most open roads in the region. 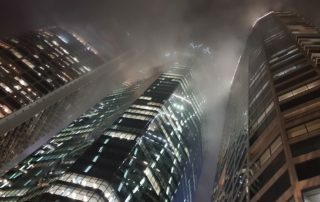 Its not often this occurs, as stated above, but when it does – some of the photos are simply breath-taking. 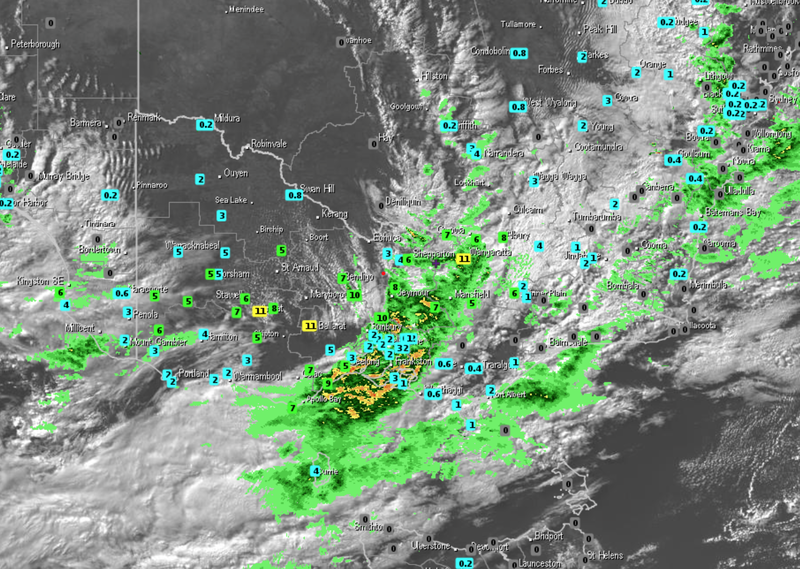 The current synoptic setup assisted by satellite and radar imagery shows a cold front which is just passing through Central Victoria and Inland NSW at the moment. This cold front is linked to a low pressure region (a series of about 3 low pressure centres) situated over the Great Australian Bight. 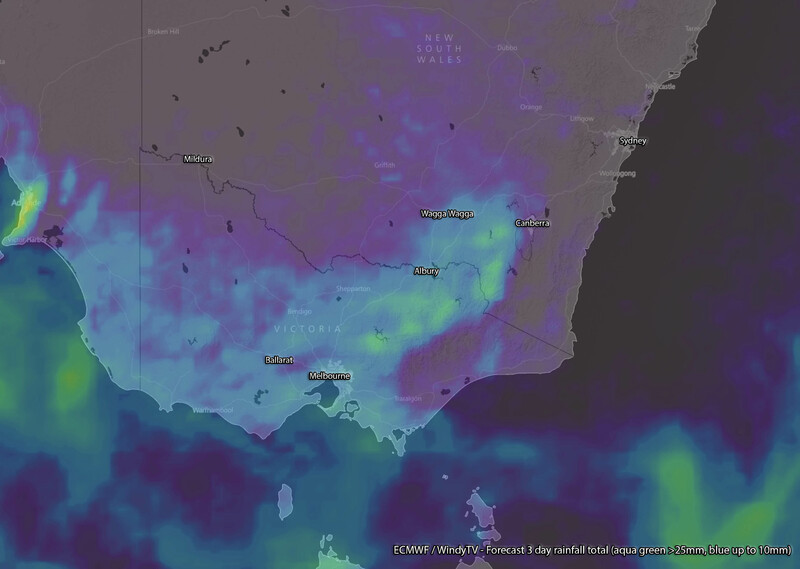 This cold front has helped generated reasonable showers across much of Western and Central VIC already today with falls of 10-15mm over the West and up to 20mm so far over Central / Northern Districts so far. Strong to damaging winds have also been noted with gusts of 98km/h over Mount Hotham, 82km/h over Mt Buller and Mt William. Gusts may increase, along with shower activity as the front moves over later this afternoon through Eastern VIC and the Snowy Mountains. Behind this front, the low pressure region is expected to move towards the East to South-East later today and overnight tonight. 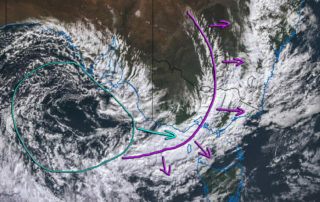 This shift in positioning will allow for cold air to be dragged up behind the low and interact with increased moisture coming out of the South-West across VIC to generate idealistic conditions for snow to occur down to around 1500m across the Snowy Mountains. This should lower to 1200m and possibly 1100m or 1000m during Tuesday as the components required all peak (temperatures being at their lowest, moisture being at its highest). This will allow for snow showers (which have already started over the Snowy’s) to continue from Monday night until Wednesday morning and good falls of 25-40cm likely and the potential for 50cm+. This isn’t the only system this week with another heavy dumping expected before the weekend. 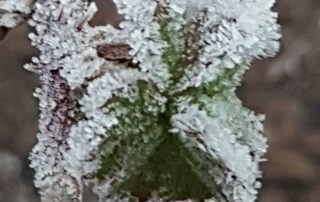 So if it is possible, then be sure to make a late school holiday dash to soak up some of the winter wonderland which has been lacking over the Snowy Mountains this season so far. During Monday, a low pressure region is expected to become situated over the Bight, with a cold front / trough system extending up through Western VIC and Inland. 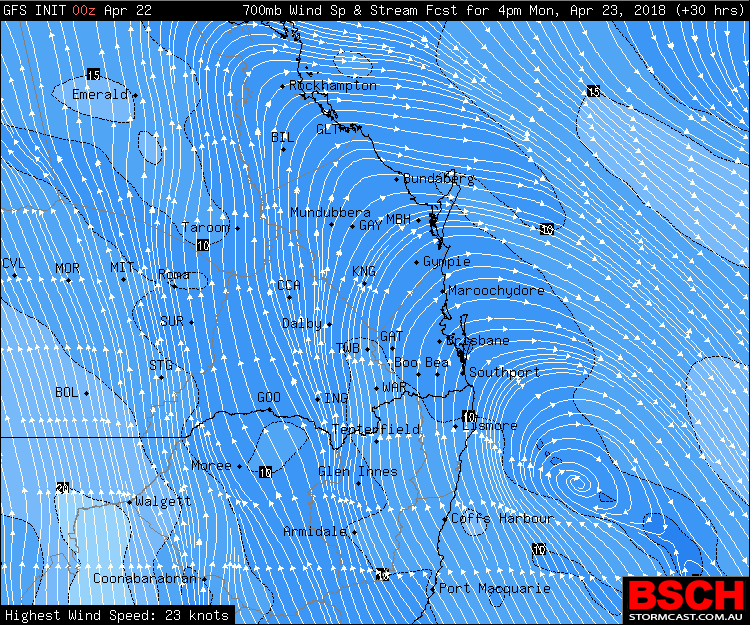 During Monday afternoon and evening, this trough / cold front is expected to sweep through bring some strong winds to elevated regions along with isolated showers across both much of Inland NSW and scattered showers across much of VIC. Behind this system though, a pool of ‘cold enough’ air is expected to creep up from the Southern Bight and move over the South-East corner of Australia. This pool of ‘cold enough’ air is expected to linger through Tuesday to allow snowfall to continue before easing back on Wednesday as the lower level cooling warms up and conditions become heavily reliant on upper level activity. 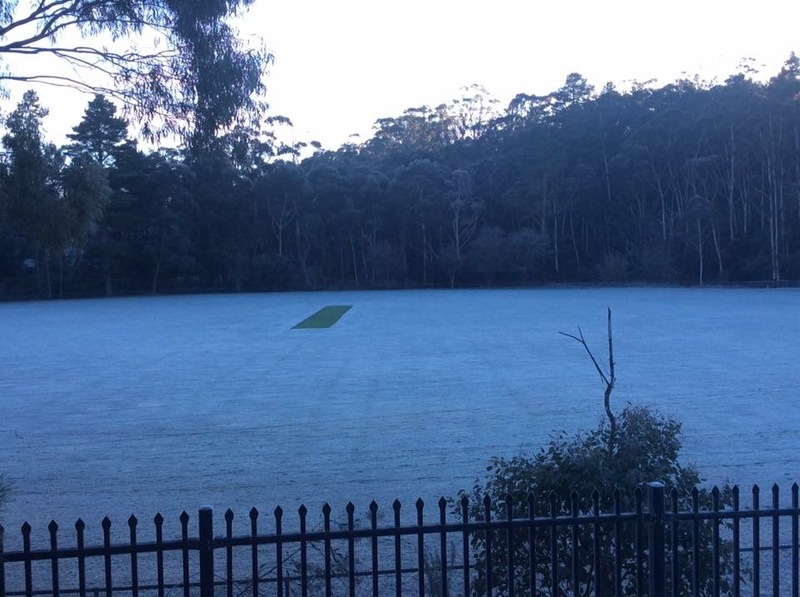 So for the snowfall, up to 50cm, yes half a metre, is expected across parts of the NSW Snowy Mountains and 30-40cm is expected across the VIC Snowy Mountains. Good moisture should remain active over the Snowy Mountain region which will allow for nearly all precipitation to become snowfall during Monday afternoon until Wednesday morning. 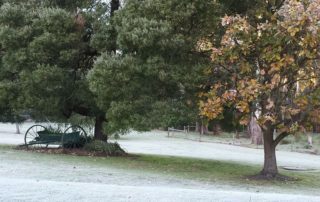 The small difference in totals is expected to come from the peak cooling remaining over NSW throughout the snow period. Despite the very good totals that are expected, snowfall is only expected to fall down to around 1200m and this is due to the cold burst of air only being -2ºc at 1500m ASL. 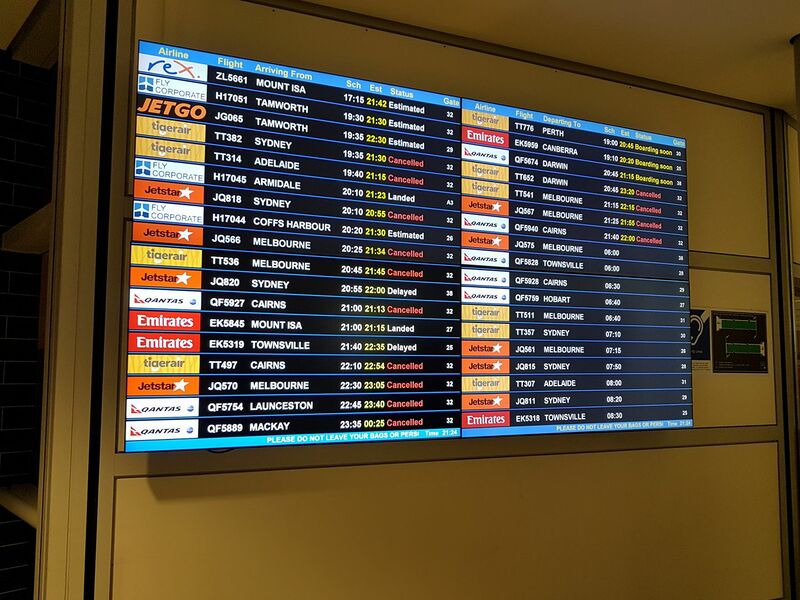 This is perfect timing after such a poor start to the season, the ski resorts can hopefully salvage something from this occurring during school holidays. As for the other weather associated with this system, scattered showers with falls of 5-15mm are expected across VIC and better falls (stated above) across the Snowy Mountains. Reasonable falls of 5-10mm are expected across Southern NSW / ACT also. The rainfall and cloud cover should keep maximum temperatures down on normal, but thankfully minimums should come back to at least normal if not slightly above average after the deep freeze experienced over Saturday and Sunday morning. 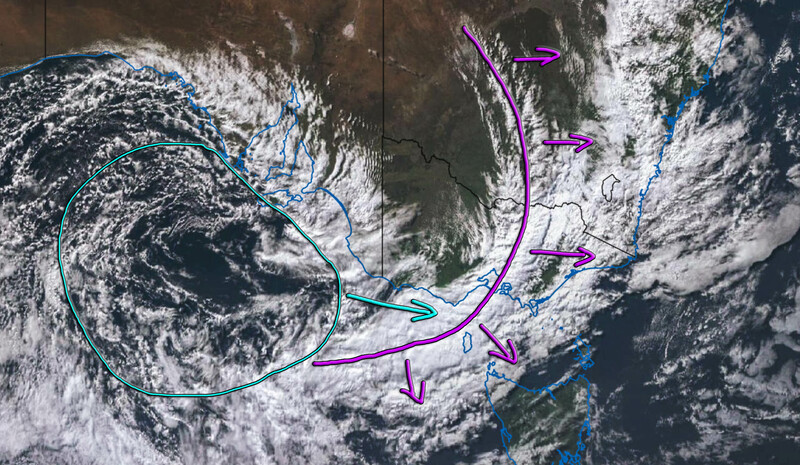 Over the past 24hrs, a high pressure system which was originally situated over Eastern VIC / Southern NSW shifting North-East and became elongated to stretch over the entirety of Eastern NSW and remain over Eastern VIC / stretch into South-Eastern QLD. 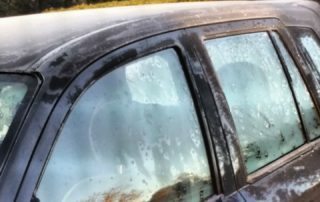 This allowed temperatures to remain fairly similar to that of Saturday morning across large parts of NSW and VIC, while South-Eastern QLD saw an even colder morning. 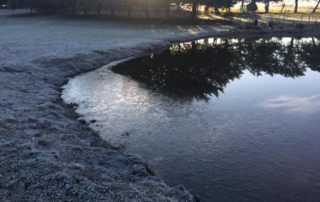 TAS remained influence by the ridge and while temperatures weren’t nearly as frigid in the Highlands as those seen on Saturday, there was still enough for the freeze effect to occur. 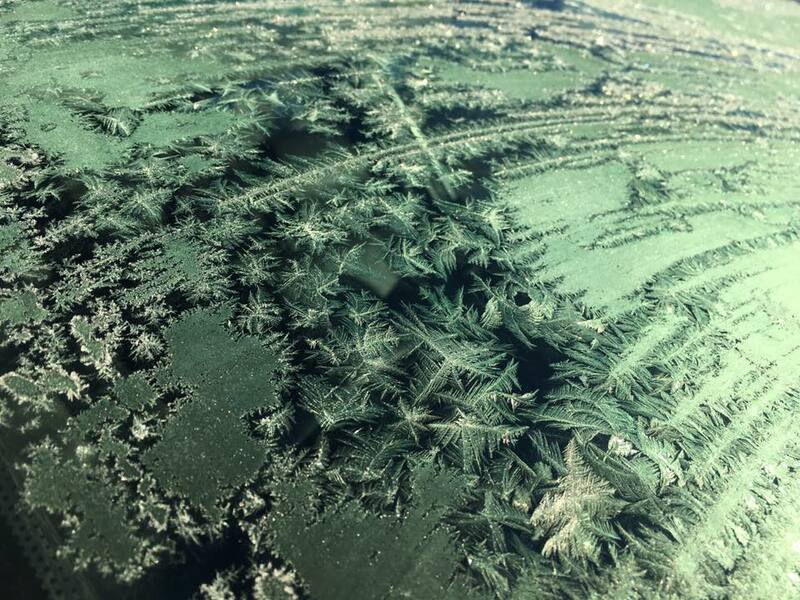 • Goulburn was the coldest of the cold with a new record breaking -10.4ºc, beating yesterday’s record breaker of -9.7ºc and smashing the original record of -9.1ºc. 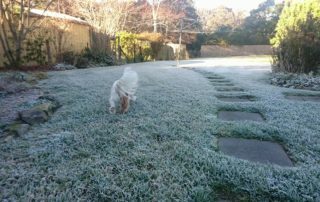 For the major cities, Melbourne scored 1.4ºc again with the outer suburbs below 0ºc, Hobart was 1.1ºc for the second morning running with the outer suburbs down to as low as -4ºc. 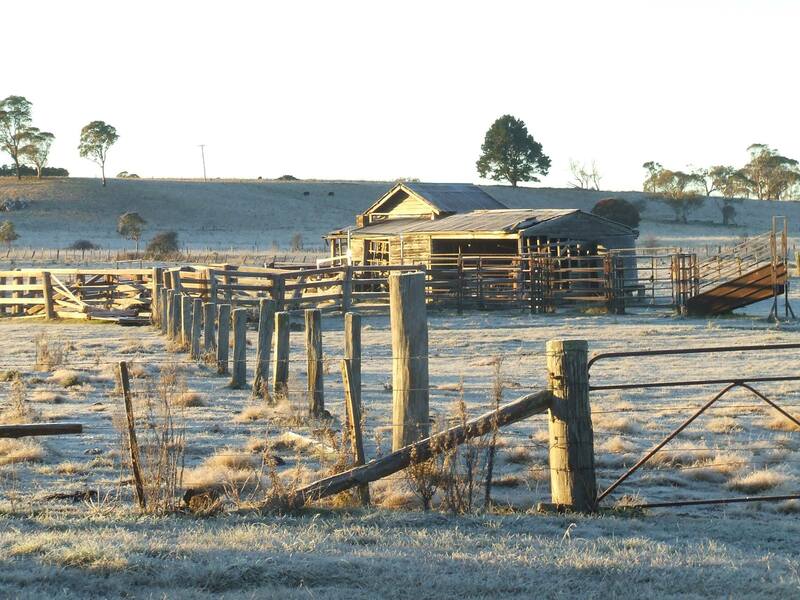 Western Sydney scored -2ºc and areas West of Brisbane dropped to freezing. 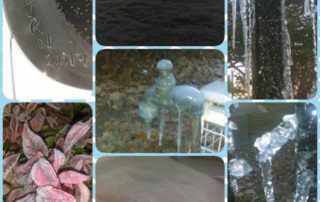 Click above to view the image carousel featuring a variety of photos sent in! 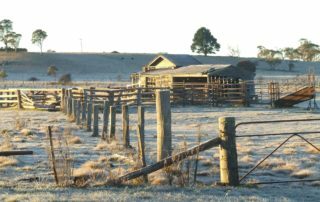 For much of Eastern NSW in particularly, the high pressure ridge should remain in place today and into tomorrow morning allowing for another cold morning, but overall temperatures aren’t expected to be as bitter as the previous 2 mornings.